They’re up; they’re down. They’re in; they’re out. Are trade shows still worth the investment? Only if you do them right. That means focusing on the right goals and using all the tools at your disposal – before, during and after the show – to achieve them. 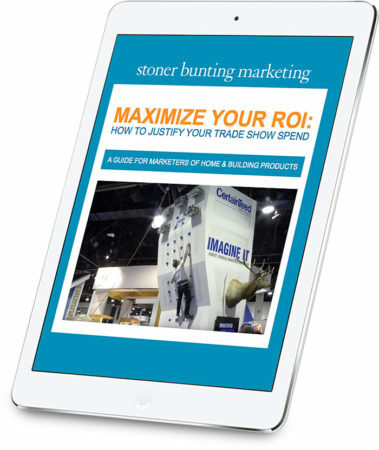 Maximize Your ROI: How to Justify Your Trade Show Spend is our e-book guide to everything home and building products manufacturers need to know to make the most of the show, from the big events like AIA and IBS to regional and vertical market shows.